Boombox offers a simple, elegant website building tool that anyone can use to design and publish beautiful responsive websites in minutes. Boombox is an Axis 80 Interactive brand. Boombox is a simple to use website builder and Content Management System (CMS) that features a gallery of beautiful themes, design elements, responsive forms and more. A WYSIWYG drag & drop editor makes it easy to design and launch a website. 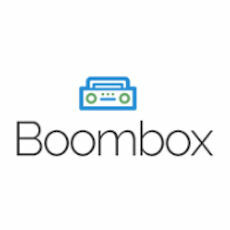 Boombox is an Axis 80 Interactive brand. Qzzr is a fun, easy way to create, embed, and share custom quizzes designed to drive traffic to company websites. You can export the responses, and Qzzr integrates with existing CRM and marketing platforms to make follow-up easy and well-informed.